Accessibility (ease of access) and usability (ease of use) of online videos are meaningful needs to be addressed, especially in the MOOCs context. Scientific literature is full of information and best practices about users optimal engagement time, the notions of subtitles and transcripts and their usability under standard situations, whether with disabilities or not. We have to keep in mind that accessibility and usability complement each other: by meeting the needs of specific users who can represent only a fraction of our visitors, we help all the others. For instance, when we provide high-quality subtitles for people with hearing impairment, it is also useful for people watching the video in a noisy environment, like in a subway, or in places where noise level has to be minimal, as in an office or at the library. The chapter I have published in “The MOOC case book: Case Studies in MOOC Design, Development and Implementation” entitled “Towards an Engaging and Usable Video Content: Addressing Accessibility and Usability Issues During Video Development” deals with these issues in the MOOCs context, and is also useful whenever a video content is provided. 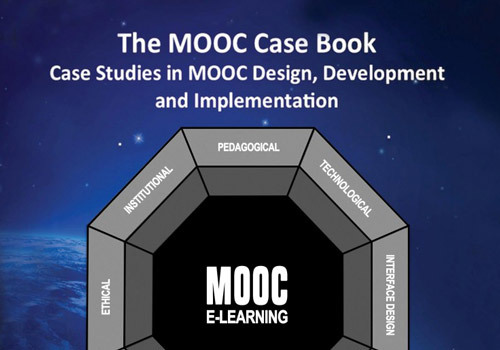 After a case studies of five MOOCs proposed on three different platforms, I talk about the state of the art of research in the relevant fields.